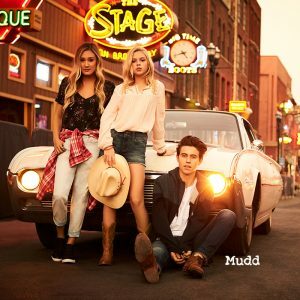 New York, New York—January 26, 2017 – Mudd, the coveted junior’s brand known for its premium assortment of denim and aspirational, yet affordable, style announced today that digital stars Nash Grier (@NashGrier), Lauren Riihimaki (@LaurDIY) and Jordyn Jones (@JordynJones) make up the 2017 Mudd crew. Nash, Lauren and Jordyn have a combined social reach of more than 38 million, and will treat fans to an exclusive behind-the-scenes look at their adventures as part of the #DestinationMudd partnership. The campaign kicks off with “Destination Country Music” in Nashville, TN to celebrate the launch of the group’s spring ’17 marketing campaign.